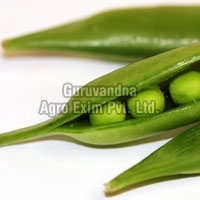 Aiming to attain excellence, Guruvandna Agro Exim Pvt. Ltd. is a Khambhat (Gujarat) based trusted Exporter and Supplier of an expansive range of Agro Products. Timely Delivery and an Envious Vendor Network are the principles of our working. 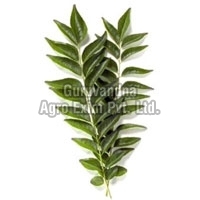 Guruvandna Agro Exim Pvt. Ltd. is amongst the credible Exporters and Suppliers of an expansive range of Agro Products, which consists of Fresh Vegetables, Rice, Whole Spices and Curry Leaves. What has helped us to stand apart from the rest is our ability to process the bulk orders within a defined timeframe. Our assortment of Agro Products is acclaimed for its freshness and purity. Additionally, we make use of premium food-grade packing material, ensuring the long shelf-life of the packed Agro Products. Established in 2012, Khambhat (Gujarat), we have been flourished under the expansive experience of 15 years of Mr. Shantilal Patel and Mr. Ramchandra Patel. We have framed ethical business policies that help us to win the trust of the clients by offering them transparent deals. Our team is the excellence that is committed to guide us on the path of success. Our team works in full coordination and harmony, assisting us to attain the heights of success and customer satisfaction. Our team comprises qualified and experienced Procurement Agents, Quality Auditors, Warehousing Managers and Logistic Support Personnel.